Charm of the only one! Specialty store of shining glass beads. 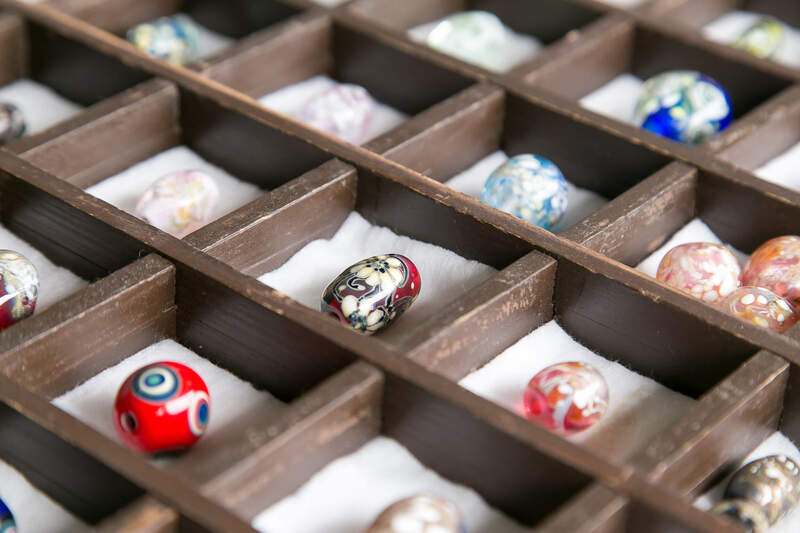 Specialty store of glass beads, which are decorated with color patterns with hole. 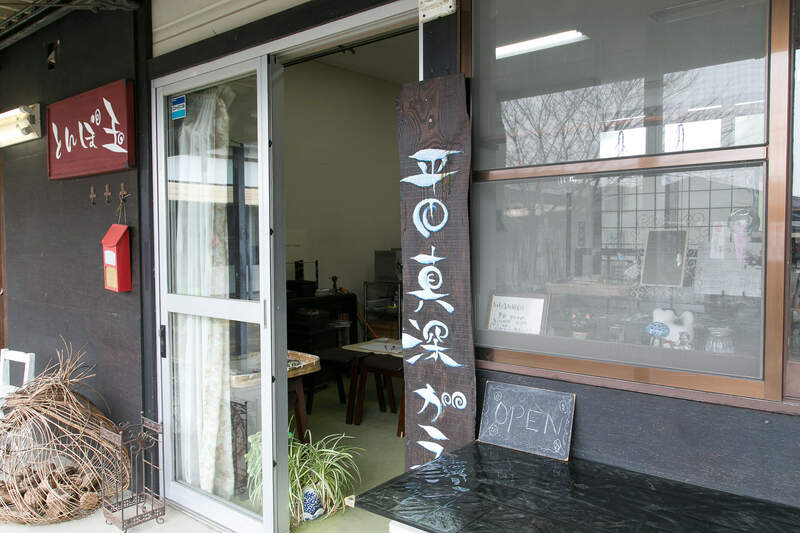 You can purchase handmade necklaces, clips, earrings and bracelets etc., produced by Ms. Manami Hirata, who is the owner and artist. 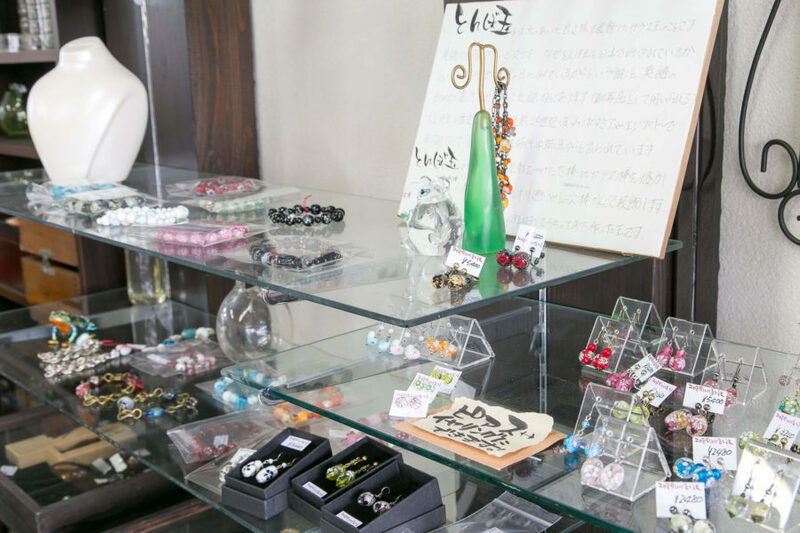 You can also try glass beads making (2000 yen). 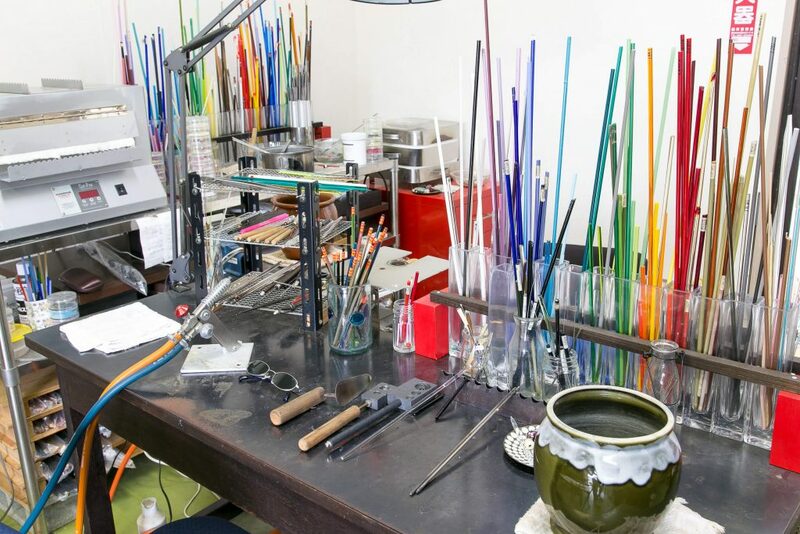 Ms. Hirata, the owner and artist, studied under Mr. Akira Nakamura, a blown glass artist who represents Kumamoto. “Ocean Colored Blue Bead” was accepted for the Beads Grand Prix 2006 (sponsored by the Japan Art Accessory Association etc. 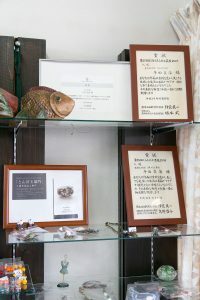 ), and her other works are accepted for the 10th Japan Lamp Work Society Exhibition of Works by the General Public Glass Beads Section and the 34th Lifestyle Craft Exhibition 2016 etc. 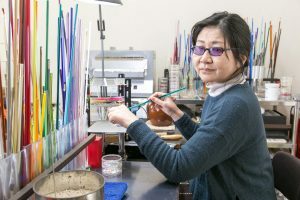 She is one of the few glass beads artists in Kumamoto who is active nationwide. Q.Please tell me about the main participation and holding event in Food pal.